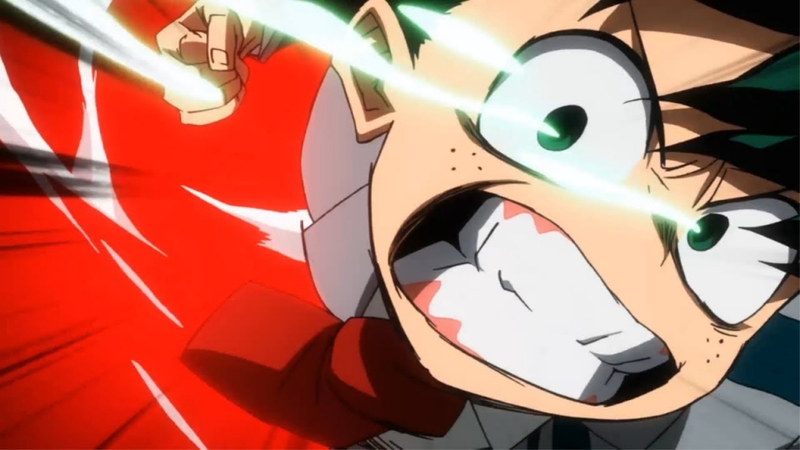 In the early days of “My Hero Academia” in both the anime and the manga, the main character Deku would cause a ton of injuries to himself because of how unskilled he is at using his Quirk. This changed as time went by and now, he can bring out a small part of One-For-All to fight. In “My Hero Academia” Season 4, though, Deku will be able to use the full power of the Quirk without causing permanent damage. As Crunchyroll News recently noted, “My Hero Academia” Season 4 will not be coming out until October of this year. This means that fans have a lot of time to re-watch all episodes in the first three seasons of the anime to catch up on some details they may have forgotten. Among them is just how fragile Deku’s body has become after abusing his Quirk one too many times. If he injures himself even more by using One-For-All with abandon, he could lose the use of his limbs. On that note, “My Hero Academia” Season 4 will feature a fight that will leave him no choice but to go all-out. Fortunately, the show’s protagonist will have a secret weapon on his side that will allow him to fight with all of his power without fear of the repercussions. Those who have already read the manga will already have some good ideas as to how “My Hero Academia” Season 4 will go. Near the end, what was originally the biggest threat to the hero community will become its greatest asset. This is how the main bad guy, Overhaul, will be defeated by Deku himself. This particular bout in “My Hero Academia” Season 4 will be the first time that Deku will be able to use his full power consecutively in a sustained manner. As such, fans can expect spectacular action scenes, as a result.